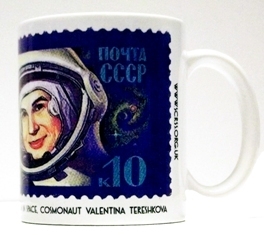 Our current set of SCRSS mugs feature five Soviet designs, including Valentina Tereshkova, the first woman in space (pictured). See our leaflet for photos of the mugs and close-ups of the graphics - selected from our library collection. Mugs cost £6.50 and are available at SCRSS events - payment by cash or cheque only. The SCRSS Digest appears three times a year and includes feature articles, reports and reviews on Russian and Soviet studies, as well as SCRSS news and Soviet Memorial Trust Fund news. Printed copies are free to SCRSS members. The Society is a membership organisation that receives no external funding. Why not support us by advertising in the SCRSS Digest? See our flyer for further information on 2019 prices and deadlines. The SCRSS Digest focuses on Russian and Soviet studies, including history, culture and language. We welcome books for review from publishers and suggestions for feature articles from authors - email the SCRSS Digest Editor at ruslibrary@scrss.org.uk. Plus SCRSS news, Soviet War Memorial Trust news. Reviews: Art for All: British Socially Committed Art from the 1930s to the Cold War (Christine Lindey, Artery Publications); Sentimental Tales (Mikhail Zoshchenko, Columbia UP); Flight MH17, Ukraine and the New Cold War: Prism of Disaster (Kees Van Der Pijl, Manchester UP); Everyday Law in Russia (Kathryn Hendley, Cornell UP); Republicanism in Russia: Community Before and After Communism (Oleg Kharkhordin, Harvard UP); Gregory Haimovsky: A Pianist’s Odyssey to Freedom (Marissa Silverman, University of Rochester Press / Boydell & Brewer). Plus SCRSS news, Soviet Memorial Trust Fund news. Reviews: Short Stories from Azerbaijan in One Volume (Ed by Anne Thompson-Ahmadova); The Long Hangover: Putin's New Russia and the Ghosts of the Past (Shaun Walker); Russian-Turkmen Encounters: The Caspian Frontier Before the Great Game (S Peter Poullada). SCRSS news, Soviet Memorial Trust Fund news. Reviews: Inside Russian Politics (Edwin Bacon); Myth Making in the Soviet Union and Modern Russia: Remembering World War II in Brezhnev's Hero City (Vicky Davis); Stalin's Economic Advisors: The Varga Institute and the Making of Soviet Foreign Policy (Kyung Deok Roh); Labour and the Gulag: Russia and the Seduction of the British Left (Giles Udy). SCRSS news, Soviet Memorial Trust Fund news. Reviews: The Russian Revolution (Alan Moorehead); Rival Power: Russia in Southeast Europe (Dimitar Bechev); The Woman Worker (NK Krupskaya, translated by Mick Costello); Magnetic North: Conversations with Tomas Venclova (Ellen Hinsey & Tomas Venclova); City Folk and Country Folk (Sofia Khvoshchinskaya, translated by Nora Seligman Favorov). SCRSS news and Soviet Memorial Trust Fund news. Reviews: A Short History of the Russian Revolution (Geoffrey Swain); 1917: Stories and Poems from the Russian Revolution (Boris Dralyuk); Between Dog and Wolf (Sasha Sokolov); Sheffield International DocFest 2017. 'The Spark for Great Art' by Christine Lindey, art historian and lecturer. 'The Development of Soviet Literature 1921-37' by Alexei Tolstoy (abridged reprint from the Anglo-Soviet Journal, Volume 1, No 3, April 1937). SCRSS news and Soviet Memorial Trust Fund news. Reviews: The Idea of Russia: The Life and Work of Dmitry Likhachev (Vladislav Zubok); The Fire Horse: Children’s Poems by Vladimir Maykovsky, Osip Mandelstam and Daniil Kharms (translated Eugene Ostashevsky); The Russian Canvas (Polly Blakesley). 'Russian Revolution: Hope, Tragedy, Myths' by Ekaterina Rogatchevskaia, Lead Curator of Central and East European Collections, British Library. Russian Revolution Centenary 1917-2017 feature: '2017: A Centenary Like No Other' by Ralph Gibson, Co-Chair of the Russian Revolution Centenary Committee (RRCC), together with an abridged reprint of 'Building the Culture of Socialist Society' by Andrew Rothstein from the Anglo-Soviet Journal (Volume 47, Nos 2/3, Autumn / Winter 1987). 'Russian Prisons: From GULAG to FSIN' by Professor Bill Bowring, Birkbeck College, University of London. SCRSS news and Soviet Memorial Trust Fund news. Reviews: Moscow - A Traveller's Reader (Ed. Laurence Kelly); Tolstoy, Rasputin, Others, and Me - The Best of Teffi (Teffi, tr. and ed. Robert Chandler, Rose France, Anne Marie Jackson); Memories - From Moscow to the Black Sea (Teffi, tr. and ed. Robert Chandler & Elizabeth Chandler, Anne Marie Jackson, Irina Steinberg). SCRSS news and Soviet Memorial Trust Fund news. Reviews: Sheffield Documentary Film Festival 2016; Vyacheslav Zaitsev in the Hermitage; The Chaplin Machine: Slapstick, Fordism and the Communist Avant-Garde (Owen Hatherley); Radiant Illusion? Middle-Class Recruits to Communism in the 1930s (Nicholas Deakin, Ed). SCRSS news and Soviet Memorial Trust Fund news. Reviews: The 'Russian' Civil Wars 1916-26: Ten Years that Shook the World (Jonathan D Smele). SCRSS news and Soviet Memorial Trust Fund news.Reviews: Stalin's Englishman (Andrew Lowie); The Maisky Diaries: Red Ambassador to the Court of St James's, 1932-1943 (Ivan Maisky, Gabriel Gorodetsky).